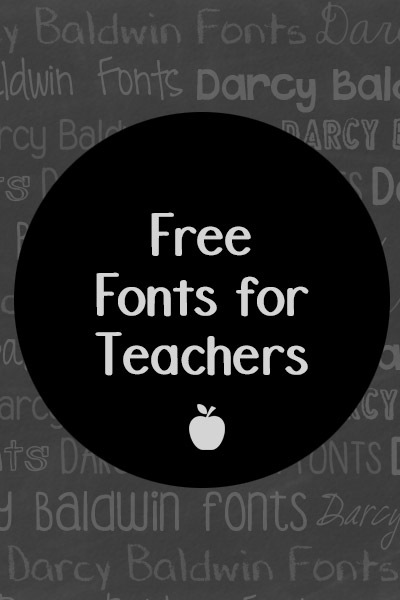 Free Fonts for Teachers at Teachers Pay Teachers! If you are a teacher, homeschooler, or work for a school district, I have a wide variety of fonts just for you at Teachers Pay Teachers! Download them for free use in the classroom or school, and font licensing is available if you are a teacher-author and sell your creations to other teachers. Administrators may download my entire catalog of fonts to their school clouds/computers with the understanding that they are not for commercial use of any kind, they may not be redistributed, and they may not be used for anything other than in class instruction or school wide letters/information. If you have any questions, please contact me.